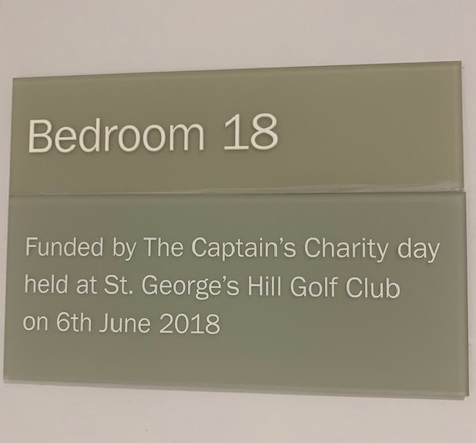 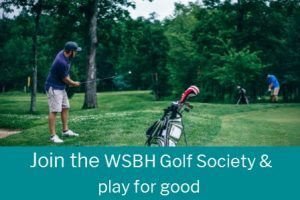 Woking & Sam Beare Hospices are delighted to announce that St Georges Hill Golf Club have named Room 18 at the hospice from funds raised at their Captains Charity Day in June 2018 along with other fundraising activities throughout the year. 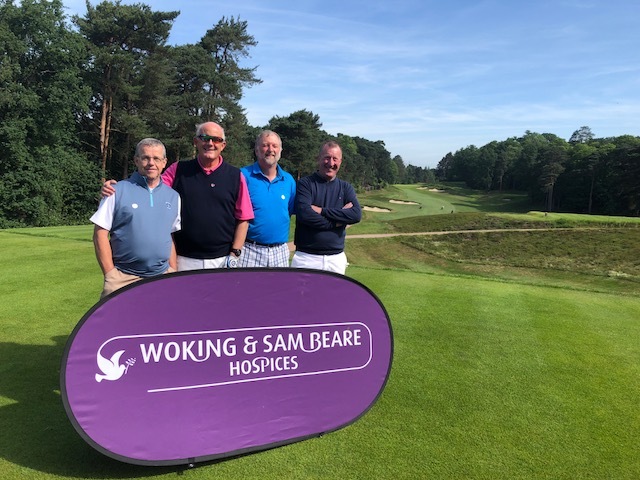 Club Captain for 2018 Stuart Letts choose to support Woking & Sam Beare Hospices after watching a Bobby Davro show at Woking Theatre. 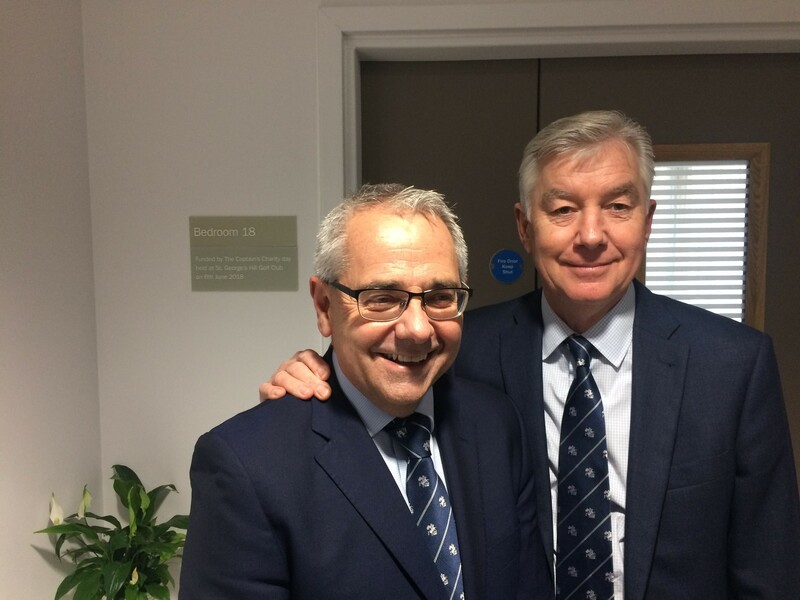 “I laughed so much I cried watching Bobby Davro and at the end of his show he spoke about the performance being in aid of the hospice and the money he had raised following the care they gave to his Mother” commented Stuart “After hearing him speak so passionately I decided then that if I was ever in a position to be Captain of St Georges Hill this is the charity I would support”. 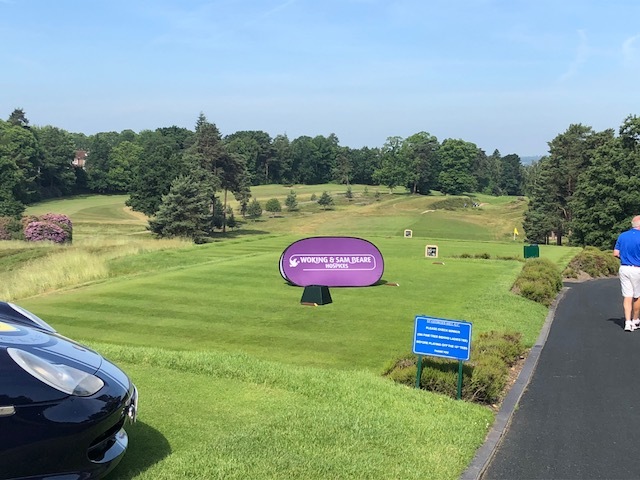 The Captains Golf Day was originally planned for March 2018 but following excessive rainfall the event was postponed until June. 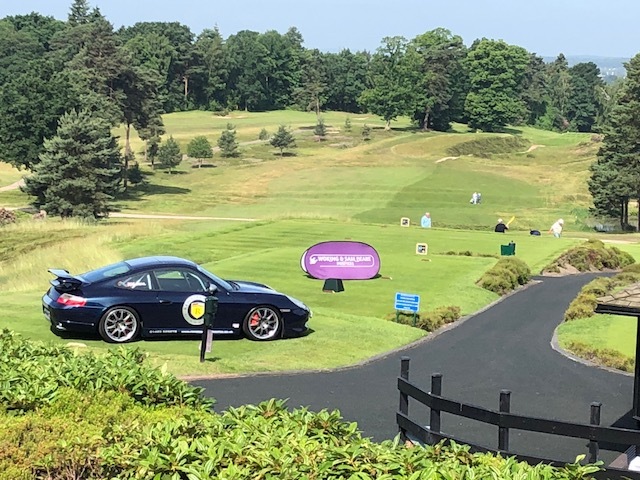 This was a blessing in disguise as the sun shone all day for a hugely successful event, which included a visit from Bobby Davro to entertain guests before the auction. 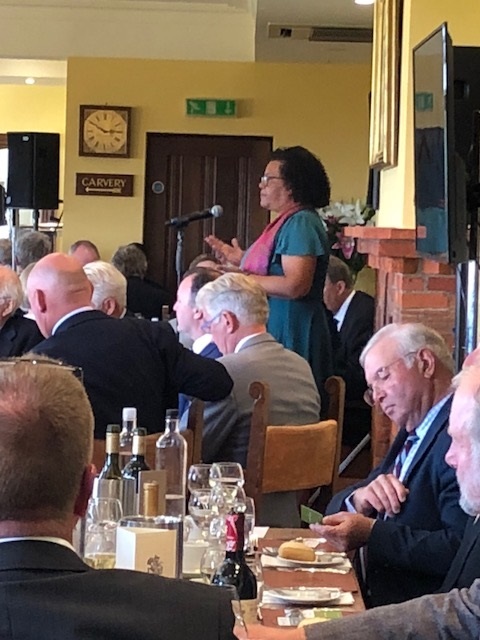 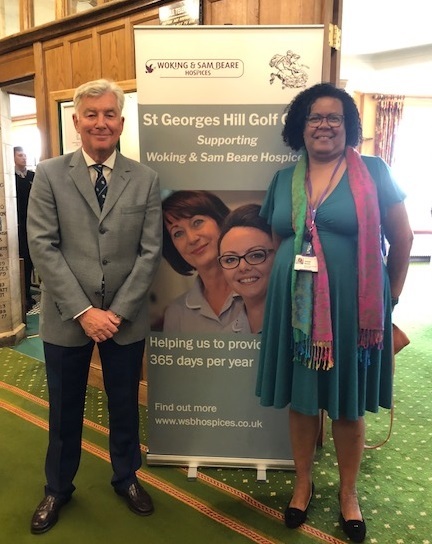 Shelagh Musoke, Community Team Lead for Woking & Sam Beare Hospices spoke at the event, about the work of the hospice charity “A huge thank you to Stuart and St Georges Golf Club for choosing to support the hospice by naming Room 18 and for inviting me to speak at the Captains Golf Day. 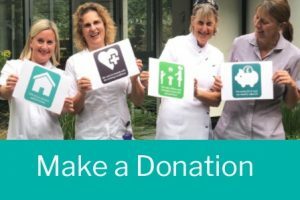 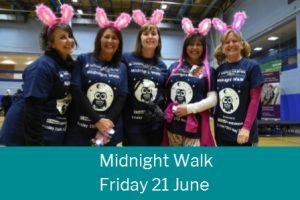 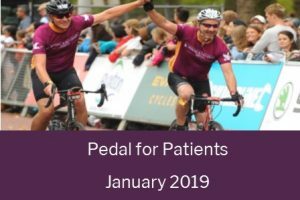 It is my privilege to provide care across the communities of North West Surrey and with support like this the charity can continue its care in 2019”. 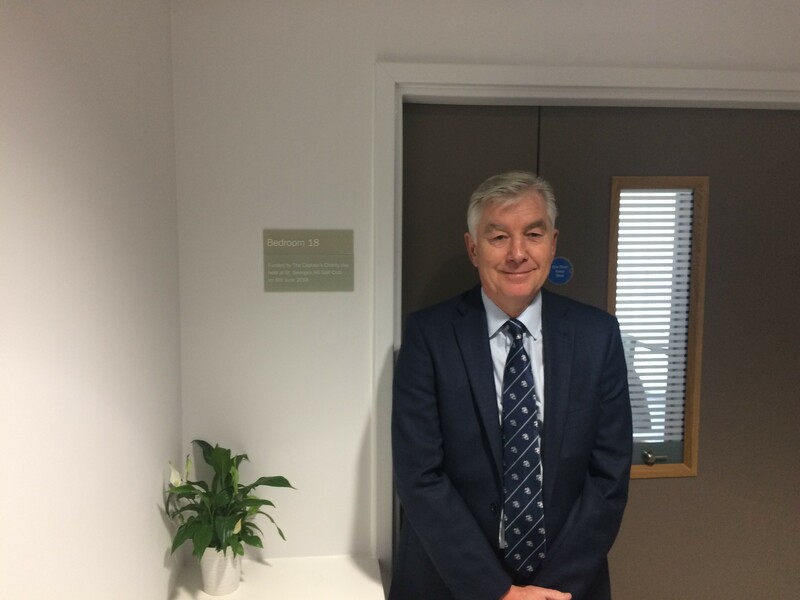 Stuart was joined by St Georges Golf Club Secretary Gary Peddie and Phil Wormley Director of Fundraising when they visited the hospice to see the plaque outside Room 18, chosen for its link to 18 holes of golf.